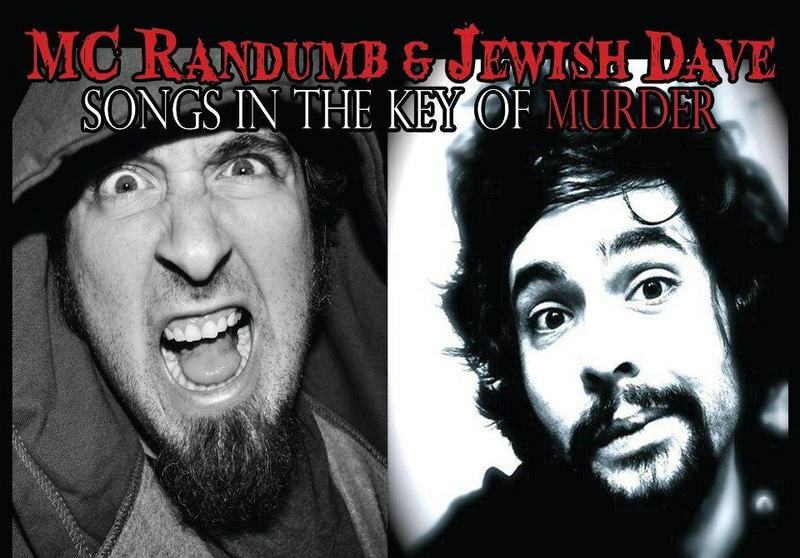 If you’re a fan of parody and comedy albums to the likes of Weird Al but find yourself seeking more horror-related songs, then “Songs in the Key of Murder,” by MC Randumb and Jewish Dave, is perfect for you! The gangsta rap-horror duo’s latest album features sinister sounds such as, “Murder Motel”, “Murder 4 Fun”, and “Bloody Murder”, making the CD perfect for horror fans looking to get their musical fix. MC Randumb (Trent Fewkes) and Jewish Dave (Dave Rosen), were originally members of a Las Vegas comedy group called, The Polar Bear MCs, or, The Killa Korpse Gangstaz, which formed in 2003. The popular Vegas performers were a group of eight comedians that put on daily shows and concerts for audiences on the strip. During this time, Fewkes and Rosen decided that they wanted to form their own group and work together on their shared love of horror. 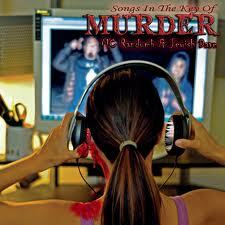 The two performers created their first album, Songs in the Key of Murder, online, and released it on Christmas Day, 2011, making it a perfect stocking stuffer for the morally misguided. Each song on the horror-themed album contains the word “murder” in the title and includes pop-culture and horror movie references. The duo also created a music video for their first single, Shut Your Mouth (Or You’re Gonna Get Murdered). Randumb and Dave are hoping to create more music videos for their album and are currently working on a short film, based on four songs from their album, which includes a narrative based off of their song “Murder Motel”–which happens to be my favorite song. The pair also created a simple and addictive horror-themed game to go along with their album. The puzzle game, Musta Been Murder, allows players to play with severed body parts as they try to fit them into their designated graves. While playing the game, the gamer is also rewarded with songs from the group’s album, as well as actual prizes such as free song downloads and movie tickets to Las Vegas’ Grindhouse Theatre. Murder !! This album is awesome, i would recommend buying this album to anyone who is looking for something fresh ! Murder on the menu rules !! !